If you are a user of Google's products, it is probably pretty likely that you use Google Chrome for your web browser. This robust browser experience is a joy to use that many a user swear by. Google stands behind Chrome so much that they have even gone so far as to create their own OS based off of Google Chrome's architecture. That OS brought along the Chromebook and Chromebox, which are now helping Chrome OS give other long standing OS's a run for their money. But one can not consider Google Chrome or Chrome OS without understanding the very underpinnings which make it work and function so well. You see, Google Chrome was designed to be a lightning-fast, reliable, customizable, and easy to use experience designed to make your online life easier. To give an example of one of those perks, Google Chrome can let you keep track of what webpages you view on your mobile phone via your Chrome browser on your desk to and vice-versa. That flexibility can be a godsend at times. Chrome OS was designed to be a lightweight OS built around the Chrome brower's speed, versatility and top-grade security. In order to be light weight, Chrome OS does something different than most OS's one may be used to. It does all of its work via the cloud (aka internet). Everything from editing or creating documents, to managing your social life, to consuming any form of media as all done via the internet. Chrome OS and the Chrome browser attempt to make the experience more desktop-like by having developers submit web applications or web applications, or web apps, to their Chrome Web Store. Those web apps allow Chrome OS users to perform a lot of the functions, that their Windows-using counterparts perform via downloaded applications, entirely on the web. This keeps the system running fast and requires considerably less processing power in the long run. Moving everything we do the cloud has been an interesting debate as of recent. Yet, that debate over doing things solely through the cloud versus having a PC that can do things from within downloaded programs has not stopped our friends at Google from innovating and pushing the envelope with Chrome OS and its web apps. One of the latest pieces of news coming from Google's Chromium Blog on January 28th is that implementation and development is being done to allow Chrome Apps to be packaged up, submitted and usable as apps in the Google Play Store. Chrome Apps for Android is a great concept that will allow developers for Google Chrome browser to port their web apps over to the Android, but at what cost. Maybe I should explain what I mean by cost. One of the biggest possible problems with the idea of Chrome web apps being ported over is consistency from the web app version users experience via Google Chrome and the end user experience that would be felt on the Android side of things. Things have begun to look pretty good in the Google Play Store as apps that have been hastily thrown together and poorly made are on a downslide and beautifully functioning, visually appealing native applications are becoming the norm. What would happen if the implementation of this Chrome web apps on Android simply opened the door for shoddy, half-done apps to resurface within the Play Store. That most certainly wouldn't be good or pleasant for the Android community at large. I mean, we just starting getting a handle on this poorly done app issue right? Right. The issue at hand would be this. Android 4.0 architecture has been developed to a point of standardization and Google Chrome web apps are designed under a different architecture. If developers simply package their apps up and port them over to Android without ensuring that the app structure fits within Android's design parameters then the results could be disasterous. At least, that's my opinion and the opinion of some others in the Android user community. Well, for instance take a look at the pictures in the gallery at the end of this article. The first one is a Google Chrome web app packed up for Android for writing tasks. That photo was showcased by Google to demonstrate the look of Chrome web apps for Android. The second is an actual natively designed application for Android called Task. So, what are your thoughts on the subject? 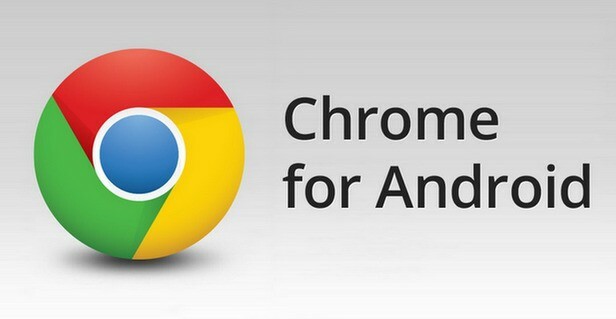 How do you feel about seeing Google Chrome web apps eventually make their way to the Google Play Store for Android? Leave your thoughts in the comment section below and keep it locked to Android Headlines for more information on this topic as it becomes available.